An XCOM-style strategy game set in an occult Wild West? 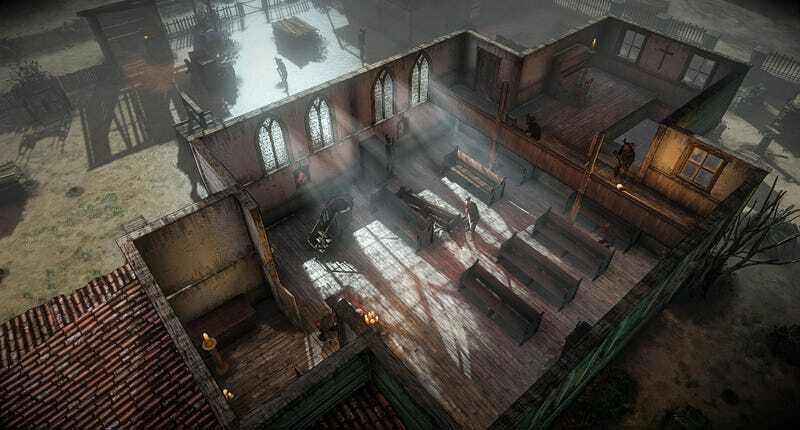 Hard West is trying to do a lot of things. Is it good, though? Let’s find out. Watch me play it right now. I have high hopes for this one, given that it combines many things I love (XCOM-like tactical gameplay, saloons, pentagrams), but that kind of ambition doesn’t always play nice with a budget price. Watch me play below, and feel free to click over to Twitch and join the chat. We can talk about anything: the game, cowboys, Satan, etc. Update: the stream is over, but you can watch the full thing below. Short summary: Hard West is fun. Some really clever twists on the XCOM formula paired with a solid Wild West vibe. You also do a lot of gold mining—perhaps more than you’d expect (which is to say any at all, given this one’s turn-based strategy billing). I’m excited to play more.